One thing Dead Congregation taught me, is that not only is their music brilliant but the label Profound Lore has an equally respectable reputation. I used to throw around this accolade in the past without much validation, but I can say with certainty that Profound Lore has integrity that is lacking in extreme music market lately. So it is without much surprise that I found the band Pissgrave so appealing. And no I refuse to use the endless adjectives associated with death, vomit and gore, that I have found plastered about the group. Death metal has always had a reputation with death and gore, the lyrics, the artwork it all has been synonymous with the aforementioned. Nothing garners more teen angst than the offensive, and nothing is more repulsive than a prepubescent rebellion. With commonality of the internet, desensitization of humanity has become easier than gimmicky, “creepy” death metal album artwork, and song titles describing forensics and “gross”, things. In contrast I would rather see this kind of artwork on albums like Kanye West, Katy Perry and Nikki Minaj albums, helping the world to see what a deliberate contradiction they are to the existence of humanity. 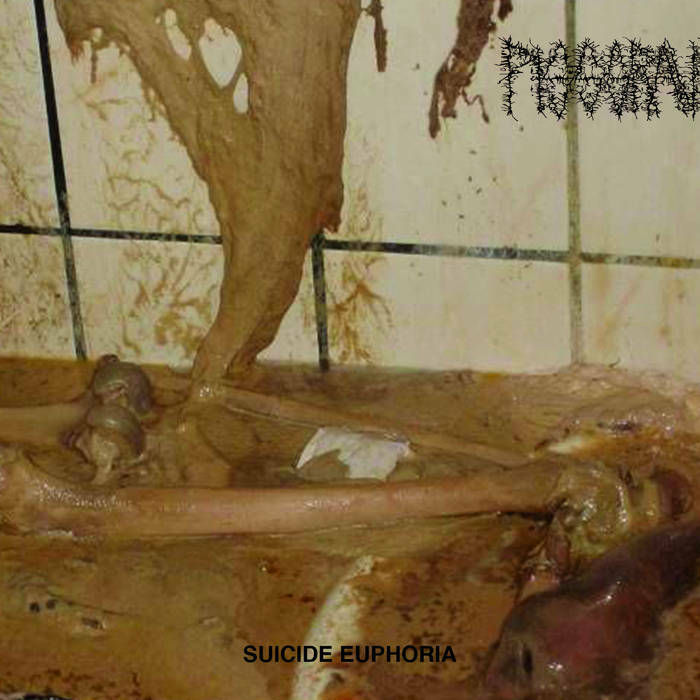 Pissgrave though formulaic and a bit predictable, the album doesn’t make me bored or disinterested. They manage to offer a variation in sound throughout the album, it has dissonance, but an equally contributing sense of harmony. If an album at 30 minutes, leaves me wanting more they have definitely accomplished their task of finding a new fan. The vocals are unique as far as standard gutturals are concerned, sounds impossible to be human. It has moments of dark breaks, and just emanates that eerie atmosphere only death metal can accomplish. Not overly polished, which is what I find intolerable about the current flock of death metal giants. I get an early Carcass vibe, it pays respect to the old school… all the while managing to keep it new and refreshing. Definitely worth your well earned pennies. I do retract my statement about the repulsive a bit, I think that this genre of music requires a resemblance of the obscene, to really portray the ugliness of what death metal can accomplish.